As we had announced previously in our updated article about the Systema Revolution, that they will be releasing it along with a "Super Max" in December, we can confirm that we will be taking orders for the new Systema Revolution and Systema Super Max very soon. We will keep you updated on all the latest news about these two sizzling hot products. 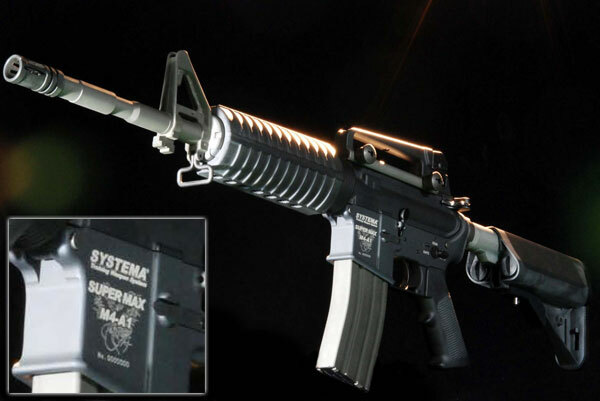 To keep you content, we thought we'd just let you know that we have received reports from Systema, saying that they have managed to use an M160 with stable performance, even reaching the heady heights of M170 power. Obviously, this kind of performance without compromise is a tough task, and Systema have ensure us that it was no plain-sailing to get where they have today.